Enjoy bowling, billiards, and arcade games in an alcohol-free, nonsmoking environment at Bowling & Billiards, located on the main level of the Indiana Memorial Union. With 12 bowling lanes, 9 pool tables, 1 table tennis table, 1 air hockey table, 2 modern gaming stations, and one American snooker table, Bowling & Billiards is the perfect place to have fun with friends and family. Parking is available in the IMU pay lots adjacent to the building. Patrons who spend $8 or more at Bowling & Billiards receive up to three hours of free parking. Need a place to hold your next event? Bowling & Billiards is available for rental for private events. Get class credit while practicing your cue shot or perfecting your roll. 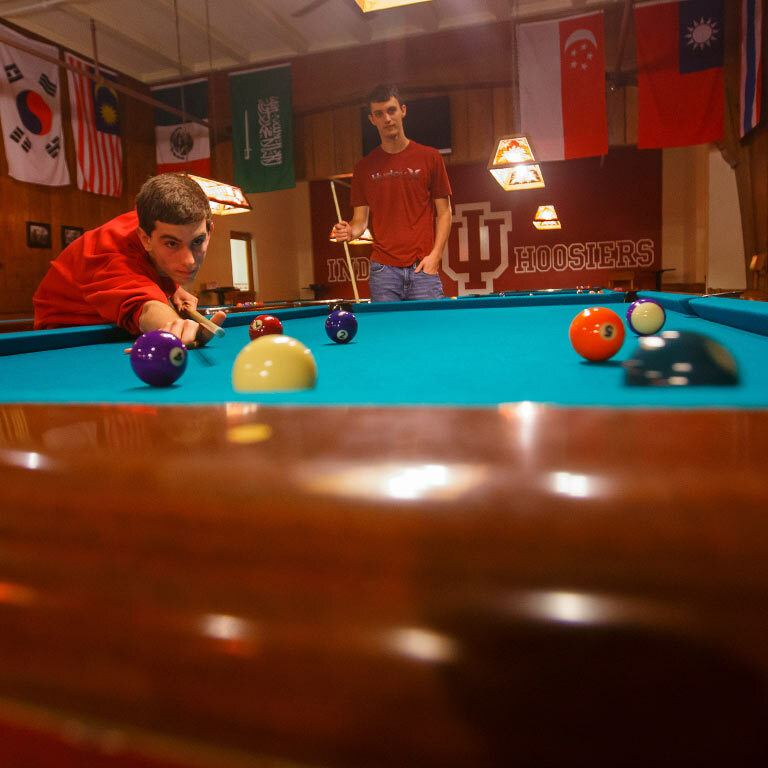 Each semester the IU School of Public Health-Bloomington offers 1 credit courses in bowling and billiards at the IMU. Whether you want to bowl a game or two with a few friends or rent all 12 lanes for an entire day, Bowling & Billiards is the place for bowling in Bloomington. Lanes are not available when bowling classes are in session (please see hours above for class times). Planning to bowl with a large group? You can rent groups of two or more lanes or all 12 lanes. It doesn’t matter if you’re a pool shark or if you’ve never held a cue—you’ll have a great time playing billiards at Bowling & Billiards. Tables are not available when billiards classes are in session (please see hours above for class times).